Hello! It’s time for Key #4. We’ve covered a lot so far and I wonder how you’re getting on with putting the ideas into practice? Please be sure and let me know in the comments. In a way, Talk Nua is all about practising more mindful communication. Not always easy in our busy lives but the positive intention is important! 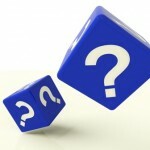 This week it’s all about questions: Killer Questions that stop a conversation dead in its tracks. •	What did you do today? •	Did you have fun? •	Do you want dessert? •	Did you like your pizza? Parent:	So how was school today? Parent:	What did you do? So, what to do about it? It’s hard to get out of the killer question rut. Sometimes it can feel like all you do is ask is killer questions- they just keep coming out! •	Pick a particular situation like school pick up. something different- I’ll cover these in the next post. Report your favourite killer question(s) in the comments below. And if you like this post, please pass it on to someone else who might like it too. Thank you! Be sure and check out the next post for how to turn those killer questions into conversation starters.